Shopping for your wedding gown is probably the most exciting part of the wedding planning process aside from the actual engagement and wedding day. It’s the moment you’ve probably been dreaming of your entire life. Every homecoming dance, every prom, every formal occasion you’ve ever dressed up for in your life was like a kind of dress rehearsal for your big day, and now the time has come to actually get to experience the feeling of being the most beautiful woman in the room. You’re the bride. You are glowing, you are radiant, and you are so excited to finally get to try on wedding gowns in hopes that you will choose the gown so perfect for you that you just know the designer actually made it for you especially. 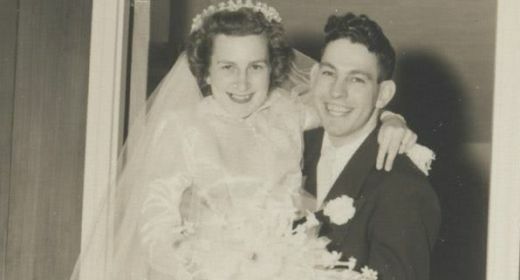 Wedding dress shopping is a wedding planning favorite, and few people can argue with that. It doesn’t matter what your personal style is, how you prefer to look or who you are marrying; you and every other bride are in the bridal salon because you are marrying the man of your dreams and you want to look breathtaking when you stand in front of him and exchange your vows. It’s a beautiful moment; unless, of course, you do it incorrectly. Sorry to do the whole bubble-bursting thing, but sometimes brides don’t do the whole wedding dress shopping thing the right way. I know; who said there is a right way? 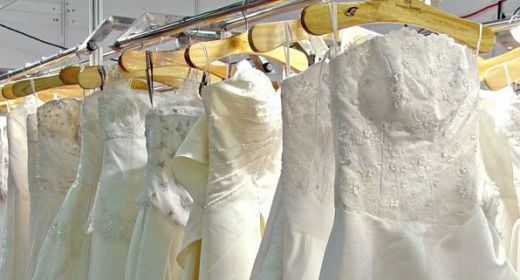 There isn’t really anything black and white about it, but there are a few things that many brides wish they would have known about wedding dress shopping long before they actually get started with the entire process. Since you probably don’t know it yet, we thought we might share with you what you could be doing wrong, the mistakes you might potentially make and the easy way to avoid any dress drama before your big day. Okay, so you’re sitting here wondering why it actually matters if you shop pre- or post-venue shopping, right? I get it; I really do. However, we do think that there is a good reason you should wait for this. 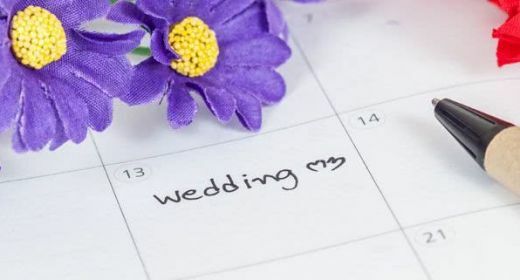 Let’s say you’re planning on getting married in six months, and you’re having a relatively short engagement. You might feel that you are already late for the dress shopping party and that you might not be able to have the gown you want made for you in six months; so you go shopping. It’s an easy mistake to make. The problem here is that you’ve yet to secure a venue. 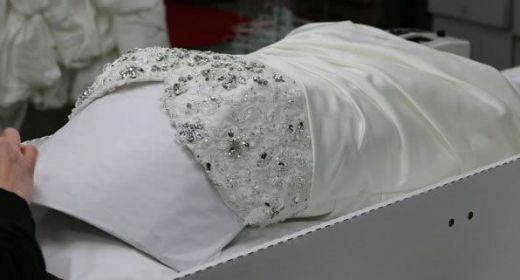 Now you have a dress and you go to the place you’re dying to exchange your vows only to find out that they are booked solid for the next 7 years, and they simply cannot get you in for a wedding date even if you wanted to get married at 7 am on a Tuesday. Now you have to pick a new venue. 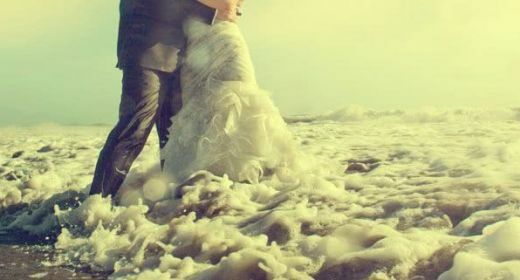 You run into the same problem at a few other backup locations and end up deciding that instead of the beautiful ballroom you wanted to celebrate your wedding, you’re getting married on the beach. The problem is that you already purchased a wedding dress that is perfect for a formal ballroom wedding, but it’s not so perfect for a July afternoon beach wedding. It’s all velvet and tulle and heavy and long-sleeved, and now you’re exchanging your vows at 4 pm on the beach. Do you see why you might want to choose your venue before you choose your dress? And by choose your venue, we mean sign a contract and put down a deposit so you know that place is yours. You want your dress to match the overall vibe of your location, and it’s not always possible when you choose a dress and then a venue. This kind of ties into not having a venue beforehand, but it means so much more. I know it’s so tempting to start dress shopping right away. In fact, it’s like standing in front of cookie dough sitting on the kitchen counter just begging you for a bite (we know all about salmonella, thanks, but we like to live on the edge). You have all the willpower for a moment, but the longer it sits there, the more you think about it. The more you think about it, the more difficult it is to just say no. Now you’ve deprived yourself far too long and you eat the entire bowl. It’s a problem. If you shop too early, your entire vision might change as you get closer and closer to your big day. You might not be the same woman you were when you were engaged. Perhaps you wanted nothing more than a fairy princess wedding when you got engaged last year, but now you are a year older, your tastes have changed, you’ve changed and you’re stuck with a dress you already paid for that you no longer want. This is why it’s best to wait a while, especially if your engagement is a long one. 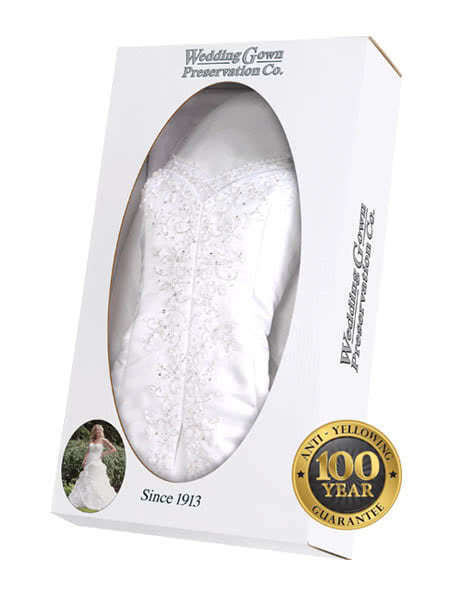 Wedding dress professionals typically advise that you do not begin the wedding dress shopping process until you are within a year of your wedding. Being a bride means getting to have an entourage, and that’s kind of awesome. After all, how many times in your life do you get to be the most important person in a room every single time you go somewhere with a group of people? Pretty much only when it’s your birthday or your baby shower or your wedding parties, dress shopping and on your wedding day. Your girlfriends all want to shop with you, everyone wants to see, and you just cannot help but want all your besties there with you. After all, that’s more people to compliment you on how gorgeous you are, and we are all just vain enough to want a piece of that. Our advice is that you stick to two or three very close people. Ideally, this would be people such as your mom, sister, grandmother, best friend, aunt, future mother-in-law, etc. It’s the two or three women you are closest to in the entire world. It’s the women – or men, really – who know you better than anyone else. It’s the people you know have your best interests at heart and who are not afraid to tell you that you don’t look amazing in that dress or that you aren’t really going to love wearing this particular style all day long and whatnot. Furthermore, all the other beautiful ladies will be present on your wedding day. Don’t you want them all to gasp with delight when you come into view at the end of the aisle as they all see you in your gown for the first time? You don’t want everyone there to have already seen you all dressed up in your wedding gown, do you? No, you don’t. It can be very difficult to shop for a gown when you have too many opinions, too much going on and too many people to try and make happy. You tend to forget that you are the one who needs to be happy and that everyone else is slightly less important to please. We’re going to go two places here and kill two birds with one stone. If we might add onto the title of this section a bit, it would be to add that you’re trying on dresses you cannot afford to buy or that you’re shopping for a gown you cannot afford to buy at the moment. If you are not ready to make a purchase, do not even think about beginning the dress shopping process. It’s going to break your heart and make you hate life. Nothing is worse than trying on a beautiful gown you are completely in love with only to realize that you just cannot afford to begin dress shopping for another few months. You’ll be devastated to leave it behind, worried that you will never find another, or that it will be gone when you finally come back. Save yourself the heartache and simply do not do it. Our second point is that it is never, ever a great idea to begin dress shopping by allowing your stylist to bring out dresses that are out of your price point. If you have $3,000 to spend on a dress, don’t allow anyone to show up with a dress that costs $10,000. Don’t even try a dress like that on for fun knowing you cannot afford it. You might think it’s so much fun to try on a very expensive gown and stroll around in it like a supermodel for a few moments but if you fall in love with that gown and cannot afford it, it’s going to make the rest of your dress shopping experience feel like a letdown. It’s all fun and games until you put on a $50,000 gown you cannot even begin to afford yet you cannot stop thinking about it. Do you want to be the bride who has to get married in a gown she does not love because she cannot stop thinking about a gown that she couldn’t afford? You really don’t want to be that bride. Okay, so we just discussed shopping with everyone you know, and how that is probably not the best idea you’ve ever had. Now we have to point out that shopping to please everyone else with your gown is a huge no-no. There are so many ways you might do this. 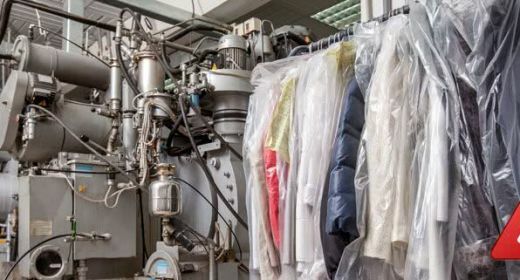 Perhaps you have a mother who is ultra conservative, and you find yourself looking at discount wedding gowns because she’s a very frugal woman and you don’t want to disappoint her by purchasing a designer gown that costs so much more (even though you are paying for your own gown). Perhaps your grandmother is with you and you find that you don’t want to her think you are promiscuous by wearing a dress with cutouts or sheer fabric anywhere, even though that’s what you want. Perhaps you think that you will find a dress that everyone will love, but you can’t. We have two points to make. The first is that you can never, ever please every single person. There will always be someone at your wedding who hates your dress, didn’t love it when you tried it on or doesn’t like the style as a whole (it’s probably not you in the dress, it’s just the style of the dress as a whole). While everyone might throw out their opinion while dress shopping (you don’t look good in that one), no one is going to come up to you on your wedding day when you are in your gown and tell you that it’s not their favorite. They’re going to smile, they’re going to congratulate you, and they are going to tell you that you look divine. Our second point is that you’re the one who has to wear the dress all day long, look at your wedding photos and be happy on your wedding day. That’s why you are the person to please here. Remember, so long as you are happy with your gown, it doesn’t matter how anyone else feels about it. You are the one who needs to be comfortable, confident and happy. We’re advocating a little selfishness for you here, so take it and run with it. We want your wedding dress shopping experience to be the most amazing experience of your life. We want you to be happy, to laugh and smile, and to look back at this day with the fondest of memories. It’s difficult to do that when you make some of these mistakes, so we want you to think carefully about them and try not to make them when it comes to planning your dress shopping excursion.